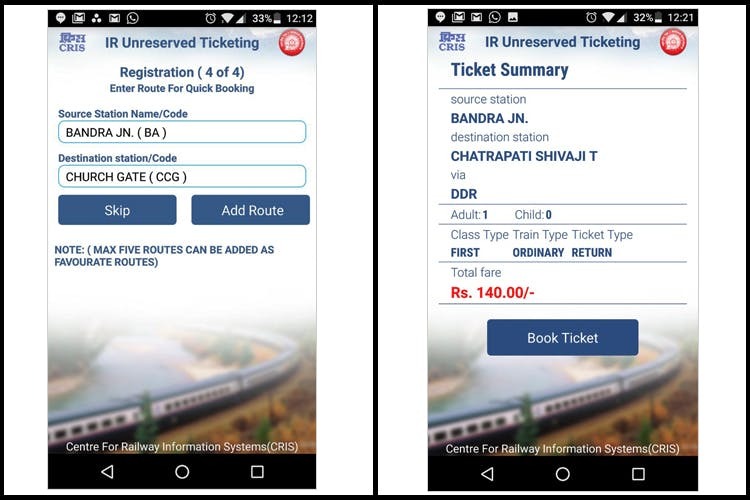 We found relief – this time in UTS, the app that lets you purchase your local train ticket online. UTS stands for Unreserved Ticketing System on Mobile and it is the best thing ever. It allows you to completely avoid the aunties giving you the death stares and the whiff of sweat from uncles. No more looking at your phone while an aunty buys 6 tickets to different destinations. The app will ask you to sign up first. Keep one of your IDs handy, for it asks for your PAN/Aadhar or passport number to register you as a user. After you sign up,they’ll send you a password that you can use to book a ticket. The user interface isn’t exactly friendly but you’ll make it through. Not only tickets, you can also book you season pass on the app. It gives you an option to get a printed ticket or an e-ticket. Although the app was launched a year ago or so, it wasn’t talked about much. So here, go and avoid those dreaded lines.